I had this pattern cut out for a week before I actually started doing any sewing on it. It takes me a while to start sewng projects, but once I get started, I can't seem to stop. I finished this dress this morning and I must admit, it came out much cuter than I thought it would. I really love it! 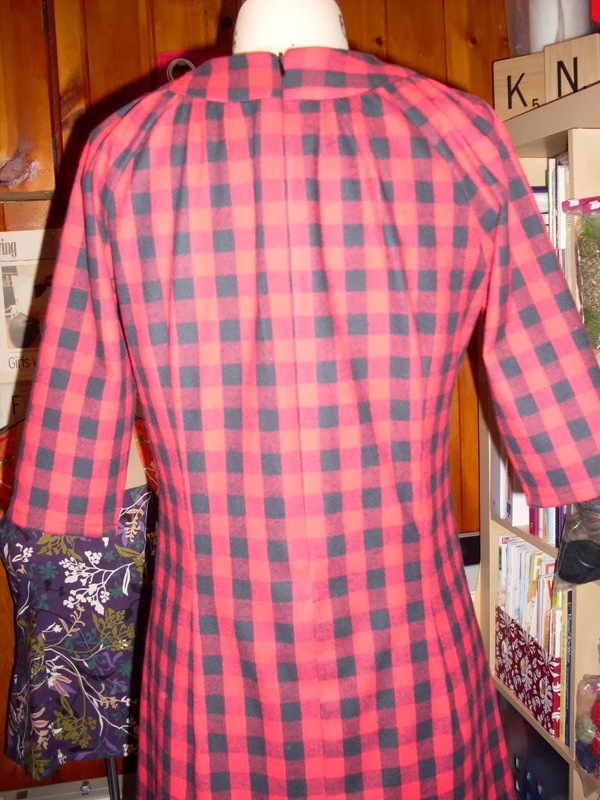 I had made the shirt view of this pattern a while back, but at a size 10, it was too small in the shoulders. So, this was made in a size 12 and it fits perfectly. 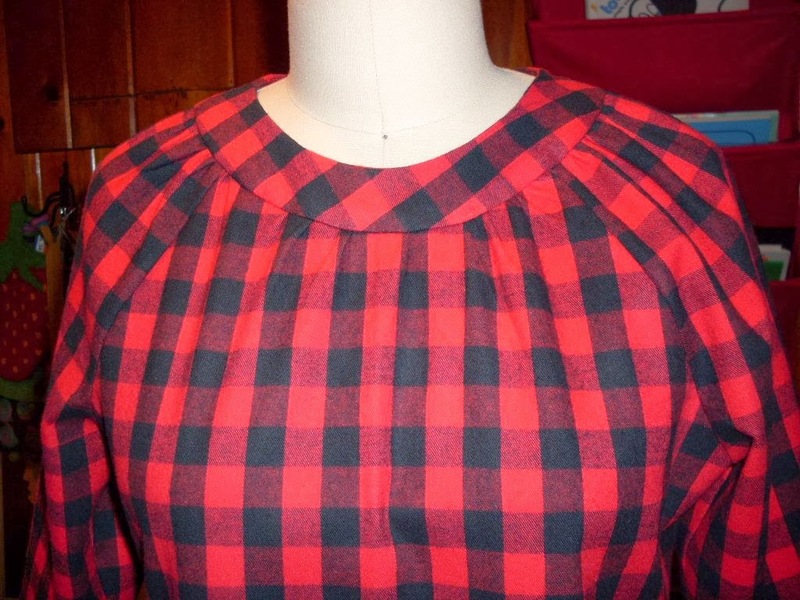 As I mentioned in my previous post, I combined the view B elbow-length sleeves, minus the ties, with view A of the dress. The dress has darts in the back to make it slightly fitted, which I like. I decided to cut the pockets on the bias for some visual interest instead of completely matching them to the dress. I was also able to match the plaid at the side seams and the back seam. 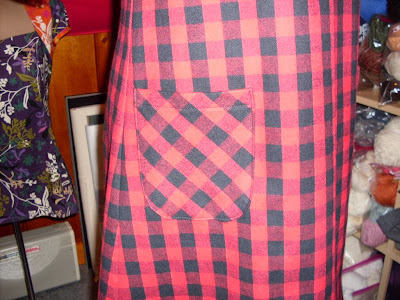 The only other mod I made was to use an invisible zipper instead of a lapped zipper. This dress will get worn during the upcoming work week! This is really cute. 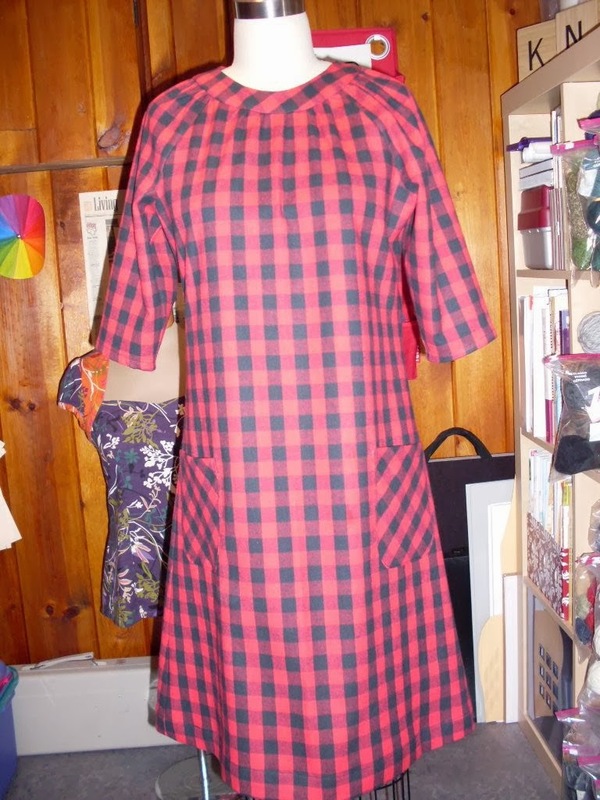 I made this dress in a plaid, as well. I love the shaping. I have worn it a lot. How Cute! I love that it looks very comfortable, yet super cute and stylish.